Monday, August 18th. Endurance Challenge 2068 Tour of Munster Day 2. It’s all about people, isn’t it? The people working at Breakthrough Cancer Research are there to help people. 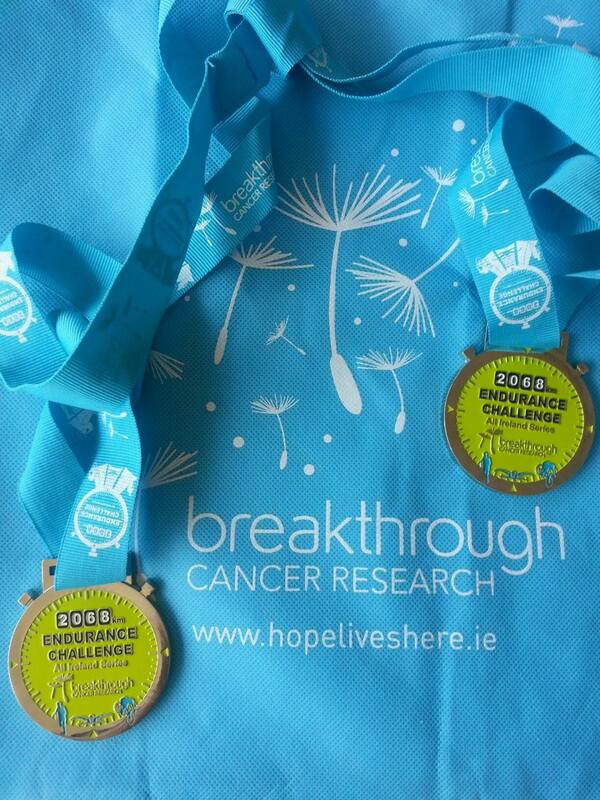 Those of us cycling today were there to support Endurance Challenge 2068, in turn helping others. A slow re-run of my mental slideshow of the week brings people into focus, and brings with it a clear view of each person’s intent to be there for others. Yes, we love our bikes and our cycling egos. Yes, we will betimes do our dammdest to outclock one another on a carefully-targeted Strava segment. Yes, we can seem to think more about our bikes than anything else! But here’s the punchline…we do it all to be social. To be with people whose bike-passion is similar; to have the craic over coffee, sometimes to claim little bragging rights or to at least offer stiff excuses to negate the tiny victories of good friends! The real reason we biked the 106 miles through three counties today was to support one another on a life-journey. Actually, seeing that in print sounds a bit corny, but I’ll not withdraw it! I spoke with Eddie on the final roll to the finish, and he commented on how much the ten days had meant to him. “It had everything except a new-born baby!”, was his summing up. He’s just about right, I’d say, as my memories of five of the days will prove to me. The details of where I went, and how much I enjoyed the cycling must wait until the latter end of this article, as I attempt to do my summing up of the most important part of the week…the wonderful people who I met with, spoke with briefly or at length, and shared with me a small portion of their story. As I mentioned earlier, the memories are a slow-motion slideshow on my mind, and I am grateful for each and every slide! Some are slightly blurred as I remember certain conversations but not the name of the biker, while others are crystal clear. As in life, some central characters made strong impression, while others played a supporting role. All are part of the show, as we rolled on from Limerick, to O’Brien’s Bridge, Birdhill, Cappamore, Bansha, Tipperary, Cahir, Clogheen, Lismore, Tallow and Dungourney before arriving to a rapturous welcome in Midleton. 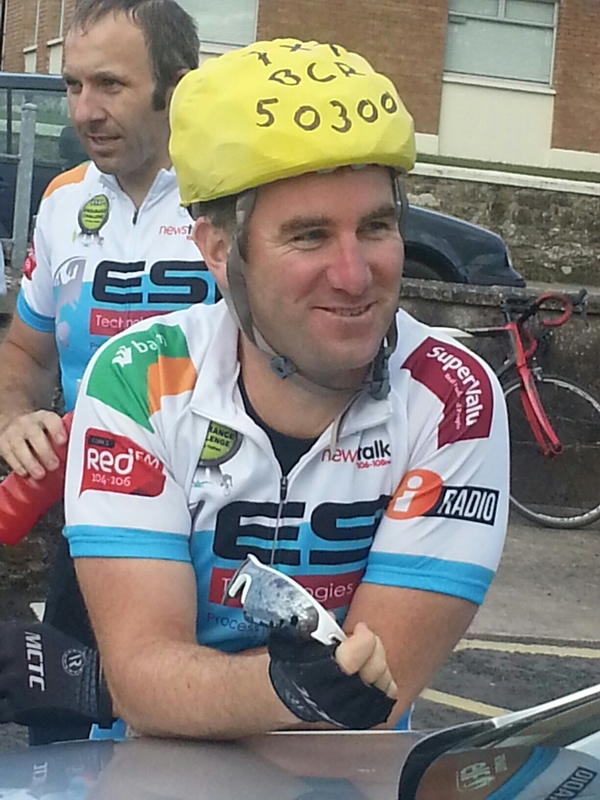 Taken in Dungourney, Sean knows he’s nearly there! Ger, a teacher from Farranfore who was in his younger days teaching near Dungarvan, and renting in Fitzgeralds Terrace, my childhood homeplace. We swapped lovely stories of a wonderful Stradbally man, Sean Ahearne. Two proud Tipperary men (Johnny & ???) , quietly savouring the match result, yet knowing that it was the strength of the Rebel boys (and girls too!) that brought them safely to the finish line. Perhaps, the Premier boys will cross next month’s finish line just a little bit ahead? Johnny, you too had a restless night, and yet the support on the road was top notch! Tony, thanks for the chats, the fist-thumping and your gentle leadership along the way. You won’t forget we have a little cycle trip in the planning for the Autumn? Nessa, I’m gonna get my head chopped off for this, but…if I were a woman, I’d be a Nessa! Tommy, Kieran, Jim and Brian…the long road is shortened with good stories. I’m still wondering who sponsored the shorts? Niall, what can I say? I caught a sideways glance at the finish. You were so proud of us, and of the entire event. Rightly so too, captain, my captain! Were it not for you I might not have been at the start line. This entire event was an immense accomplishment on your part! Nick, you grew rapidly into your role as road-captain, thrust upon you by circumstances. You will surely never ckimb the Vee again with such satisfaction, keeping a group of 31 together all the way to the summit! Eugene…it was a huge privilege to be with you. Your reaction to the views near the Vee hairpin made me even more aware of the beauty on my Waterford / Tipperary doorstep! 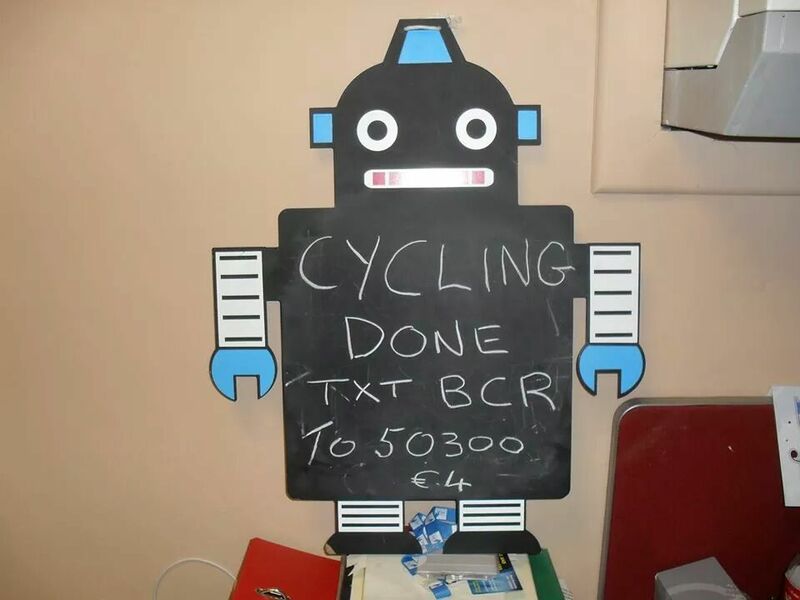 Mike, back from a fundraising cycle for the Hospice Foundation in Spain, content to fund it yourself, and repeat the dose again around most of Ireland. You’re the main man! James & Sean… are getting used to all the kudos for this mammoth event? I learned a lot from listening to bits of your life-story, and like many many others, I was inspired to go the extra mile, not just on this event, but along life’s twisty road ahead. 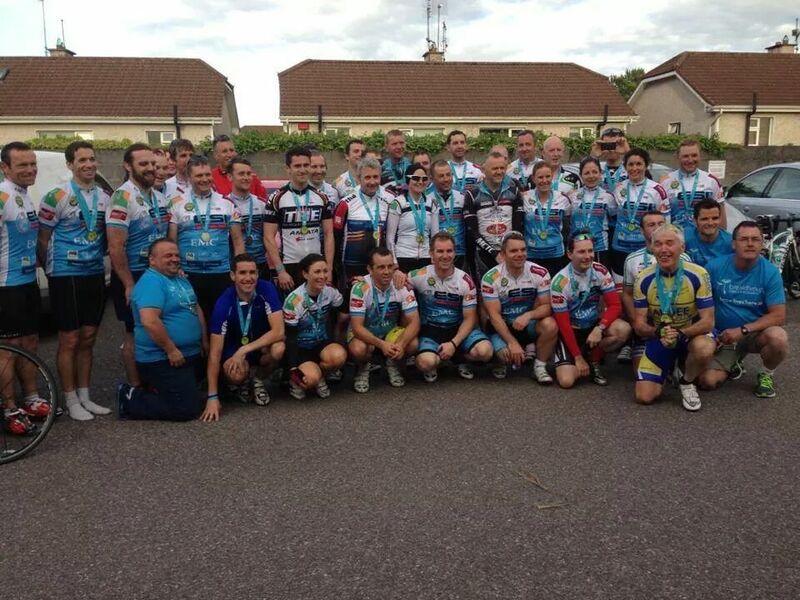 The huge contingent from Midleton CTC…ye made this tour EPIC. James Colbert: helluva determined man! After that ramble, the details of the cycling seem less important. To offer a brief summary, we cycled the 106 miles with a tailwind, stopped briefly at 11.59am and offered a silent prayer, pushed on through the Premier County to lunch in Cahir, before approaching Clogheen with caution. Many in the group had developed myths about the Vee. There were worried questions that needed answering. Here’s the lowdown: the group were of one mind. We decided to keep all 31 together going up, and it is a tribute to Barry & Nick that this plan was executed to perfection. 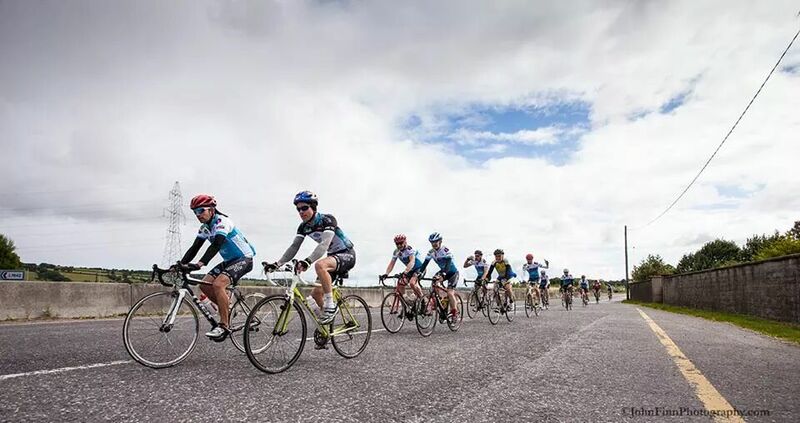 Downwards then through the Déise, the final county on the Endurance Challenge on magnificent roads, before heading on to Tallow and over the border into Midleton. I learned a new word today : stravatise. It’s a verb. The act of logging a journey on strava. Well holy God! The Irish Examiner has a great article today about the event. Not the same little quirky bits you see on blogs, but important nevertheless. Final word to James: It is only when cancer “touches someone close to you” that all your trust and hope goes into treatments, which stem from cancer research. 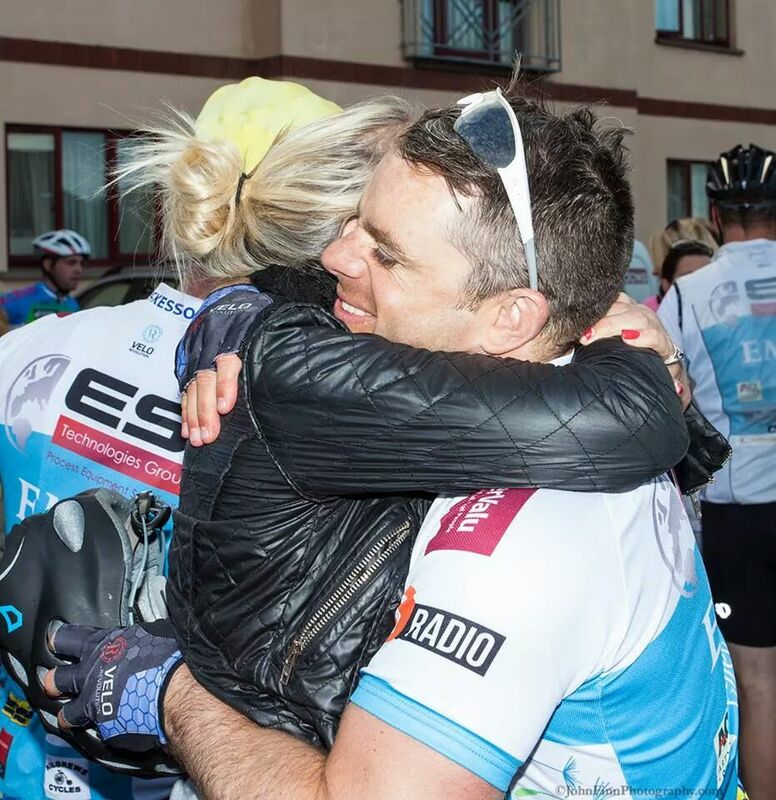 “We really hope our challenge will raise much needed awareness and funds for Breakthrough Cancer Research,” he said.. Here’s the full story. I’ve never been more proud of two medals!